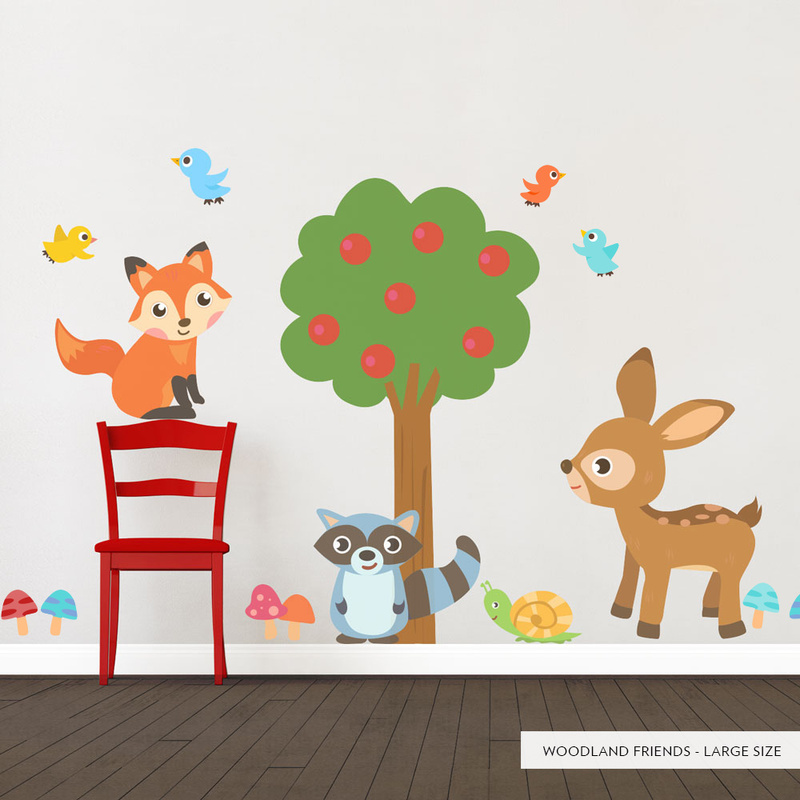 Your children will adore our printed Forest Friends Wall Decal! With smiling faces, these characters make the forest come to life on your walls. 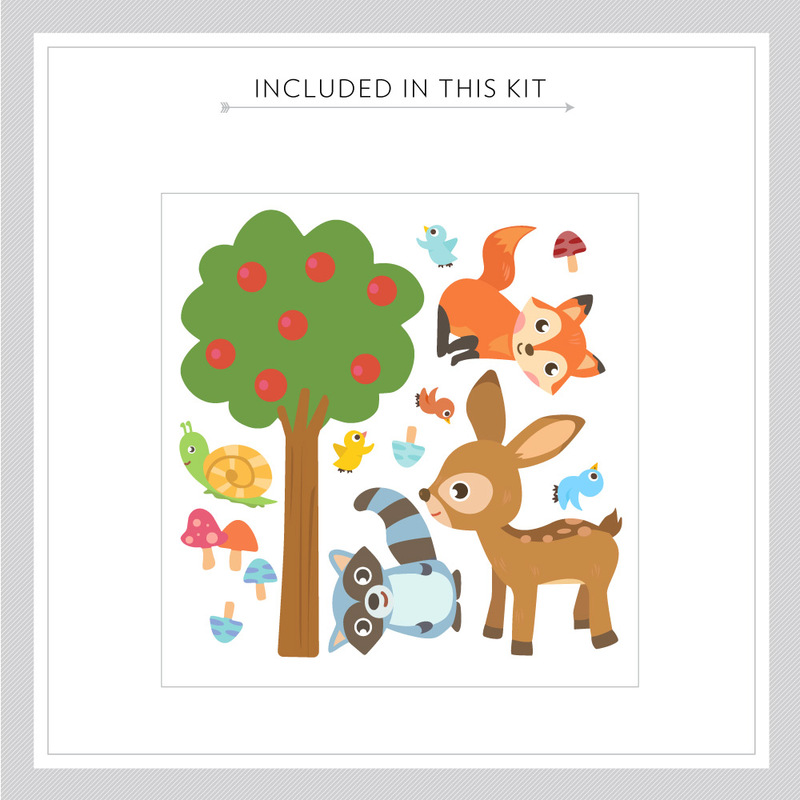 These forest animal wall stickers are available in 2 kit sizes.